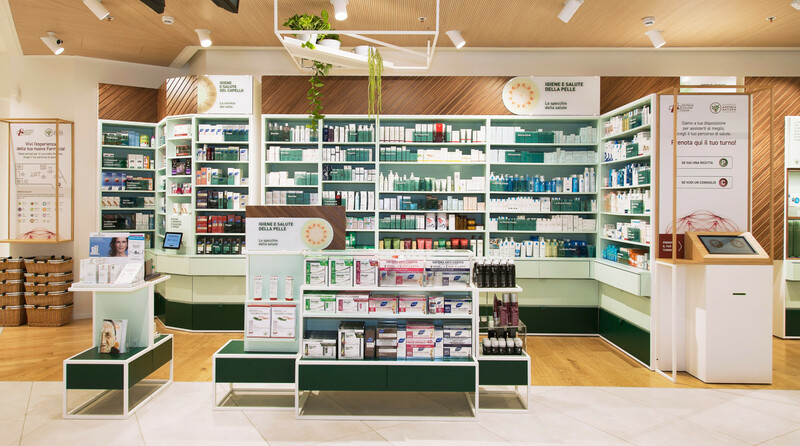 Apoteca Natura’s international pharmacy network acquires a new concept specifically designed to transform the whole idea and vision of the pharmacy. The result is an innovative reply to the experience provided so far by the traditional pharmacies and drugstores, and supermarkets as well. A human-centric approach that puts in the foreground the person and his needs. Apoteca Natura is an international partnership project created in 2000 by Aboca; its network includes today more than 900 pharmacies in Italy and Spain. Today pharmacies are still traditional product-focused places with more convenience and less relationship and dialogue. This is the reason why DINN! is working to transform Apoteca Natura’s pharmacies into distinctive and international landmarks. Going beyond the traditional idea of pharmacy as merely commercial place where to buy health products, Apoteca Natura Pharmacy becomes a space entirely dedicated to prevention and treatment, providing a warm, professional and human experience. Thanks to this important innovating project, Apoteca Natura represents a unique and distinctive international benchmark. Thanks to a strong cooperation with the company, DINN! 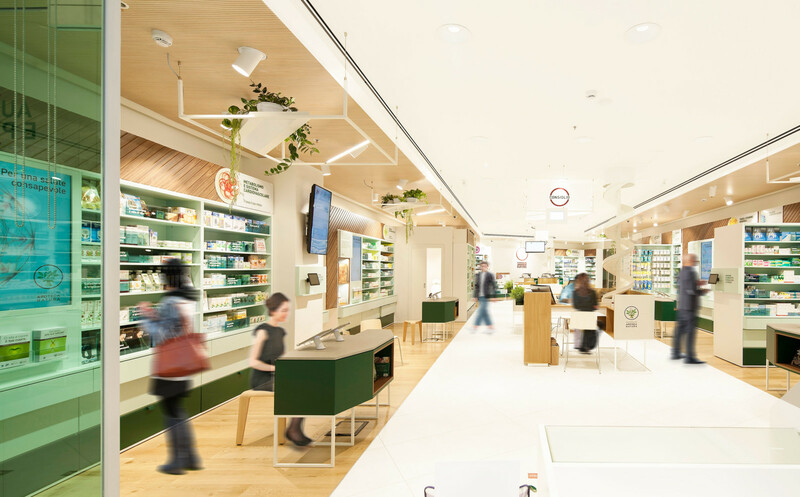 projected a new concept store built on those key elements that make Apoteca Natura pharmacy a sanitary hub able to guide the client with a complete and personal assistance offer. The pharmacist stands out: much more value to his advisory’s role in order to listen to the client’s health needs and to support him to keep and optimize his physiological equilibrium. A free and diversified use of the space boosts the customer experience with three options that depend on the specific need: go and collect the product; consult the pharmacist; choose and buy the product independently. In order to support and facilitate the free movement of the client within the pharmacy, the payment is split from the selling. The cash desk is managed separately to invite the client to test the new customer experience and to give much more importance to the pharmacist, which is not just a “clerk”, rather a professional and helpful person. The transformation of the customer experience allows Apoteca Natura to move from a product-centric to a dialogue-centric vision: the client is now spontaneously attracted to the discovery of the new areas of advisory, prescription and free exploration – thanks to the proactive and engaging approach and the new intuitive efficient queue management system. From now on, the exhibit-management rests on categories of health needs. Each category consists of particular products, information and services concerning the specific need, with physical and digital solutions (e.g. informational video). 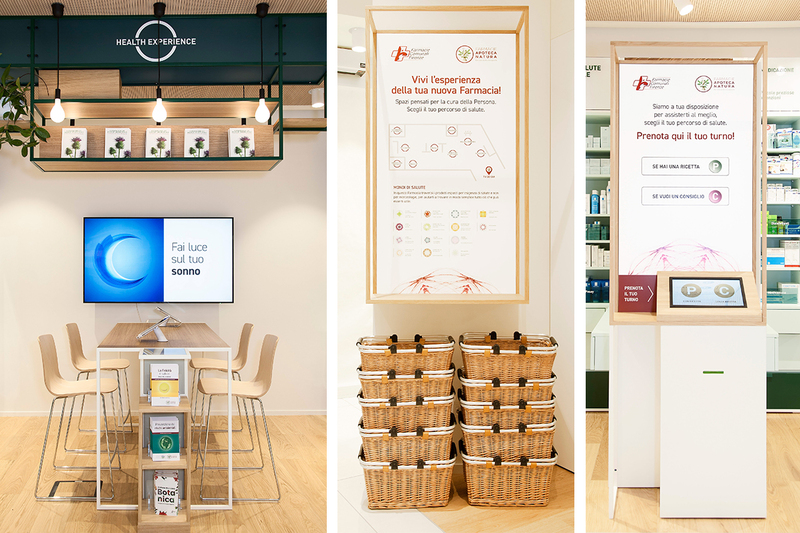 New distinctive feature of Apoteca Natura Pharmacy is the warm and delicate use of technology that is apt to provide information for the client and to deliver products. The latter happens with a highly advanced technology robot system that selects the products in the stockroom and brings them up to the counter. 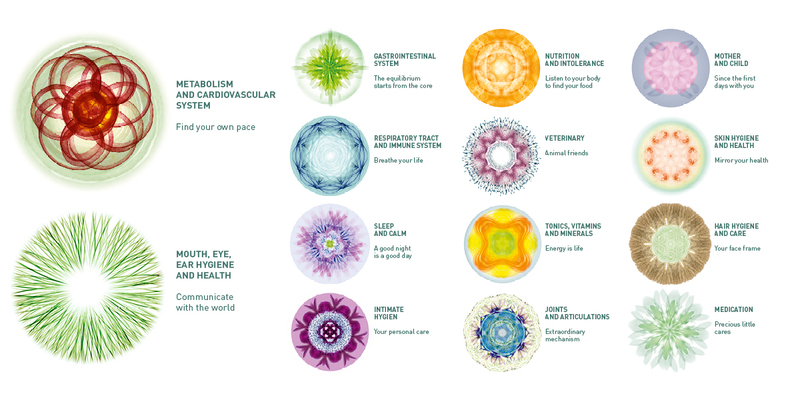 The Health Experience is the most important additional service designed for Apoteca Natura. It consists of a multifunctional area visible from the hall where people can interact with the pharmacist, test the products and study health topics through specific short conferences. All this happens within a clear, modern and innovative design space, which puts at the heart the human assistance. DINN! 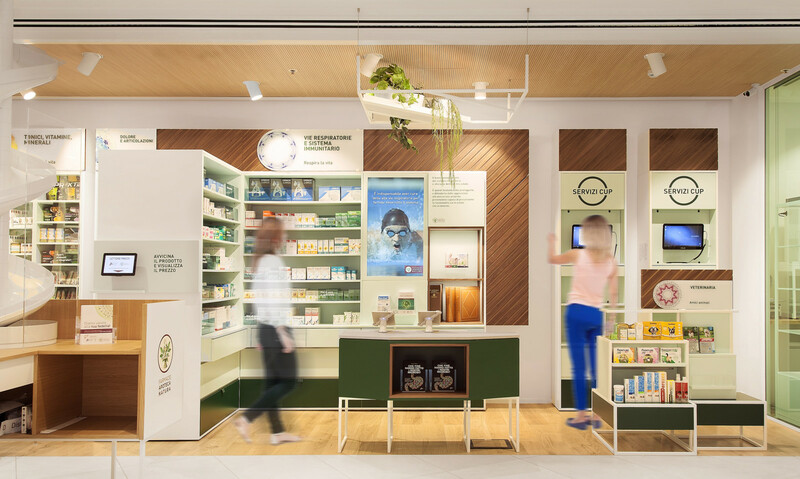 projected a new pharmacy concept, redefining the brand positioning and the brand visual identity, providing Apoteca Natura with a much more attractive character. Consequently, the new logo design boosts the brand awareness, highlighting the scientific identity – though keeping a recognizable connection to the past. 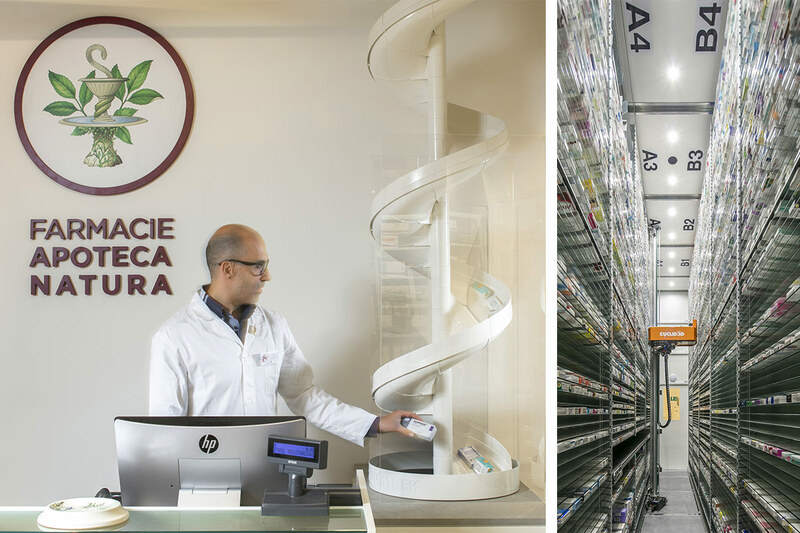 Apoteca Natura, with its own 21 pharmacies within Aboca Group, opened in November 2017 its first new store in Florence (Ponte a Greve locality). New openings are forthcoming along the first months of 2018.